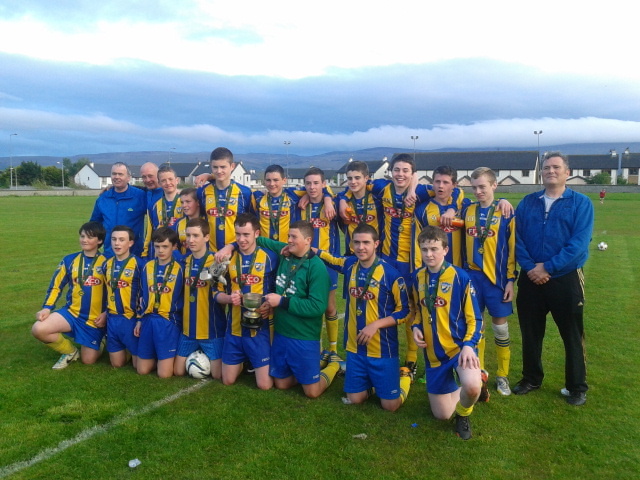 An amazing performance from Killorglin Under 15s saw them beat Killarney Celtic 2-0 in Tralee in the Kerry Cup final. Goals from Conor Standen and Padraig Cronin late in the second half saw the Premier League side beaten by Killorglin’s Division 1 team. Dylan O’Sullivan gave a man of the match performance. Many congratulations to Pat, Stuart and all the team on a fantastic win!! This entry was posted in News, Under 15's by Gabhan. Bookmark the permalink.